IDI Composites International and Composite Castings LLC (CC) announce a collaborative effort to demonstrate production feasibility of a proprietary thermoset structural composite molding compound. The focus of this molding demonstration will be the proprietary Polimotor 2, pioneered by Matti Holtzberg and Composite Castings. Composite Castings has been working closely with Toho Tenax America to identify strategic partners in molding engine components. CC and IDI Composites International will be partnering to prototype and eventually establish production feasible molding compounds and techniques to commercialize the Polimotor in the very near future. Matti Holtzberg, the leading authority in composite engine design, and his company Composite Castings LLC, is located in West Palm Beach Florida. 40 years ago, Matt Holtzberg built the world's first composite engine due to the tremendous need for weight reduction in automotive powertrains. 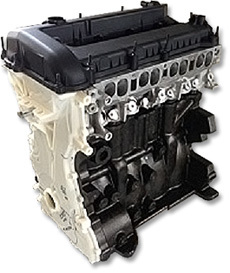 Matti Holtzberg and Composite Castings have designed, and are now molding Polimotor 2, a 4 cylinder carbon fiber reinforced polymer engine based on the Ford 2.0 liter Duratec engine. Toho Tenax is the core company of the Teijin Group's carbon fibers business. The Toho Tenax Group is a leading carbon fiber manufacturer worldwide with an annual production capacity of 13,900 tons in Japan, Germany and the USA. Toho Tenax America, Inc. is an affiliate located in Rockwood, TN, USA and responsible for the Americas' market.